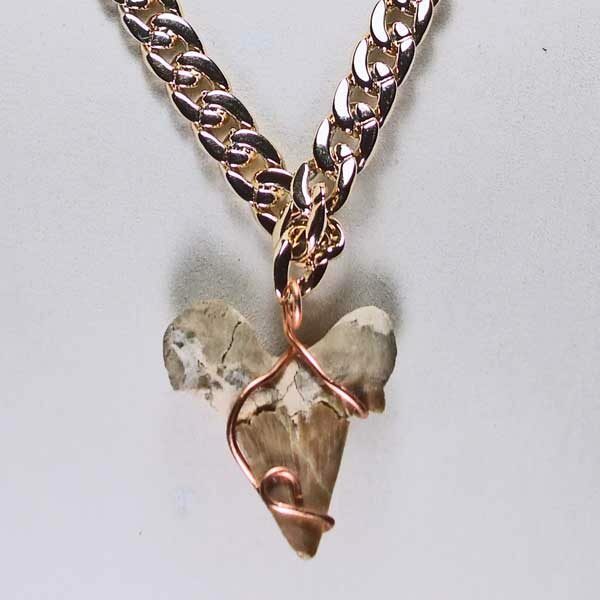 Shark tooth necklace is a limited edition of one-of-a-kind. 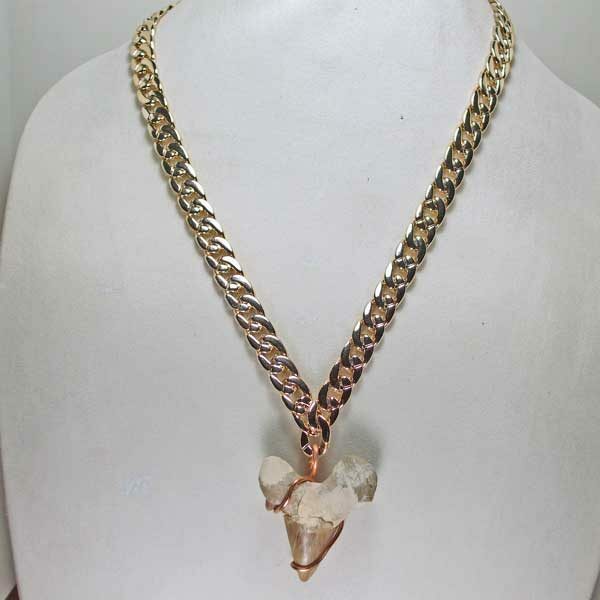 This necklace is a Shark Tooth pendant hanging from a large link chain. Copper wire is wrapped around the Shark tooth to hold it in place. Checkout is thru PayPal. You may use a Guest account with credit or debit card. Full and Complete Description is below under the “Description” tab. Click on the ‘eye glasses’ in the photo to see a larger version of the photo. Please feel free to critique MyCarolAnne on our ‘contact us‘ page with any suggestions that you would like to express. 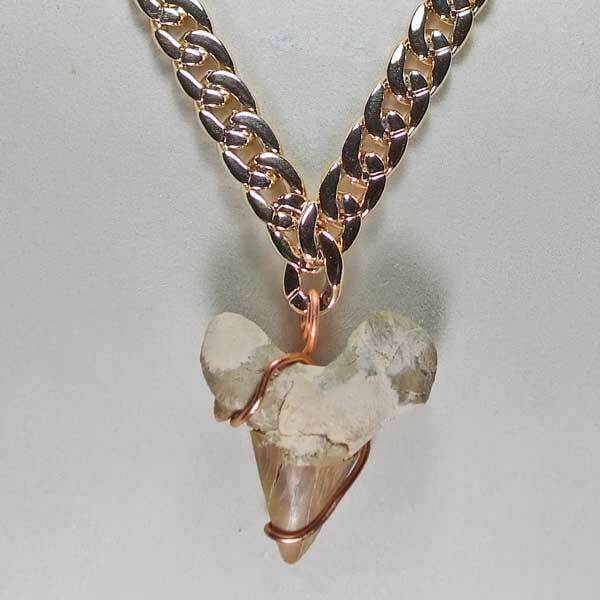 Shark Tooth Fossil Necklace is a limited edition of one-of-a-kind. This necklace is a Shark Tooth Fossil pendant hanging from a large link chain. Copper wire is wrapped around the Shark tooth to hold it in place. A large link chain is the neckwear with a large lobster claw in copper. No earrings are provided for the necklace. Any pair in copper would be stunning. 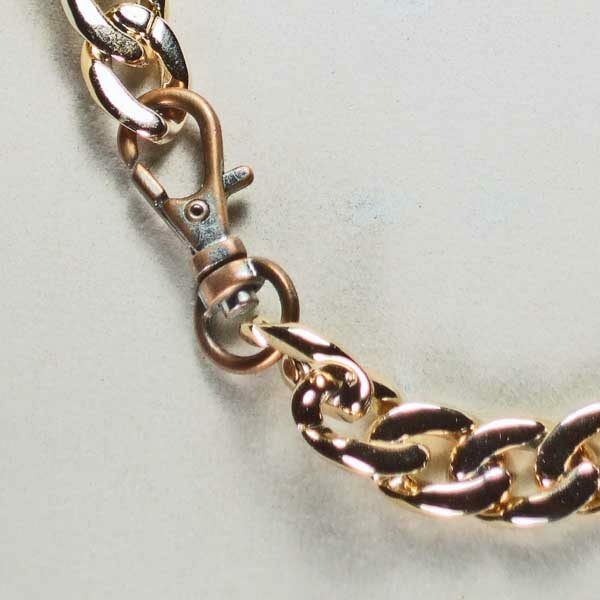 The length of the neckwear is 24 inches (60.96 cm) which is long enough to put over your head. The Shark Tooth dangles 2.25 inches (5.715 cm) and is 2.0 inches wide (5.08 cm).